Inside the White House, the president and his aides vented frustration over Manafort and Gates indictments, fearing the unknown about Mueller probe. Donald Trump watched live footage of his onetime campaign adviser and confidant, Paul Manafort. Washington: President Donald Trump woke before dawn on Monday and burrowed in at the White House residence to wait for the Russia bombshell he knew was coming. 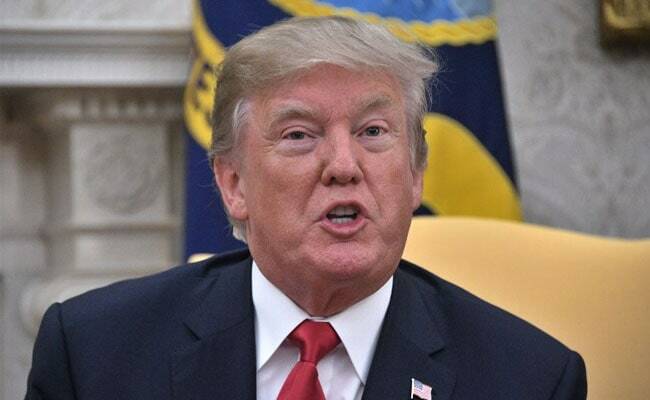 Separated from most of his West Wing staff - who fretted over why he was late getting to the Oval Office - Trump clicked on the television and spent the morning playing fuming media critic, legal analyst and crisis communications strategist, according to several people close to him. The president digested the news of the first indictments in Special Counsel Robert Mueller's probe with exasperation and disgust, these people said. He called his lawyers repeatedly. He listened intently to cable news commentary. And, with rising irritation, he watched live footage of his onetime campaign adviser and confidant, Paul Manafort, turning himself in to the FBI. Initially, Trump felt vindicated. Though frustrated that the media were linking him to the indictment and tarnishing his presidency, he cheered that the charges against Manafort and his deputy, Rick Gates, were focused primarily on activities that began before his campaign. Trump tweeted at 10:28 a.m., "there is NO COLLUSION!" But the president's celebration was short-lived. A few minutes later, court documents were unsealed showing that George Papadopoulos, an unpaid foreign policy adviser on Trump's campaign, pleaded guilty to making a false statement to the FBI about his efforts to broker a relationship between Trump and Russian President Vladimir Putin. The case provides the clearest evidence yet of links between Trump's campaign and Russian officials. For a president who revels in chaos - and in orchestrating it himself - Monday brought a political storm that Trump could not control. White House chief of staff John F. Kelly, along with lawyers Ty Cobb, John Dowd and Jay Sekulow, advised Trump to be cautious with his public responses, but they were a private sounding board for his grievances, advisers said. "This has not been a cause of great agita or angst or activity at the White House," said Cobb, the White House lawyer overseeing Russia matters. He added that Trump is "spending all of his time on presidential work." But Trump's anger Monday was visible to those who interacted with him, and the mood in the corridors of the White House was one of weariness and fear of the unknown. As the president groused upstairs, many staffers - some of whom have hired lawyers to help them navigate Mueller's investigation - privately speculated about where the special counsel might turn next. "The walls are closing in," said one senior Republican in close contact with top staffers who spoke on the condition of anonymity to speak candidly. "Everyone is freaking out." Trump is also increasingly agitated by the expansion of Mueller's probe into financial issues beyond the 2016 campaign and about the potential damage to him and his family. This portrait of Trump and his White House on a day of crisis is based on interviews with 20 senior administration officials, Trump friends and key outside allies, many of whom insisted on anonymity to discuss sensitive internal matters. Trump and his aides were frustrated that, yet again, Russia steamrolled the start of a carefully planned week of policy news. Trump is preparing to nominate a new chairman of the Federal Reserve and is scheduled to depart Friday for a high-stakes, 12-day trip across Asia, and House Republicans are planning to unveil their tax overhaul bill. "I'd like to start the briefing today by addressing a topic that I know all of you are preparing to ask me about, and that's tax reform," White House press secretary Sarah Huckabee Sanders said at Monday afternoon's news briefing. It was a lighthearted prelude to a question-and-answer session immediately overtaken by queries about the indictments. Away from the podium, Trump staffers fretted privately over whether Manafort or Gates might share with Mueller's team damaging information about other colleagues. They expressed concern in particular about Gates because he has a young family, may be more stretched financially than Manafort, and continued to be involved in Trump's political operation and had access to the White House, including attending West Wing meetings after Trump was sworn in. Some White House advisers are unhappy with Thomas J. Barrack Jr., Trump's longtime friend and chair of his inauguration, whom they hold responsible for keeping Gates in the Trump orbit long after Manafort resigned as campaign chairman in August 2016, according to people familiar with the situation. Barrack has been Gates's patron of late, steering political work to him and, until Monday, employing him as director of the Washington office of his real estate investment company. Trump and his aides tried to shrug off the ominous headlines, decorating the South Portico of the White House in black bats and faux spider webs to welcome costumed children for Halloween trick-or-treating. As the sun set on Monday, the president and first lady Melania Trump handed out goody bags to little princesses and pirates. The Russia drama has been distracting and damaging for Trump - from a public relations perspective if not, eventually, a legal one. The president's inner circle on Russia matters has tightened in recent months. In addition to his lawyers, Trump has been talking mostly with Kelly and members of his family, including Melania, as well as daughter Ivanka and son-in-law Jared Kushner, both senior White House advisers. Trump also leans on two senior aides, counselor Kellyanne Conway and communications director Hope Hicks, as well as some outside friends for advice. Still, Trump has little ability to influence the ongoing Russia probe save for firing Mueller - the sort of rash decision that his lawyers insisted Monday he is not considering. "Nothing about today's events alters anything related to our engagement with the special counsel, with whom we continue to cooperate," Cobb said. "There are no discussions and there is no consideration being given to terminating Mueller." Sekulow, one of Trump's outside lawyers, said: "There's no firing-Robert-Mueller discussions." Asked whether Trump is considering pardons for Manafort or Gates, Cobb said, "No, no, no. That's never come up and won't come up." On Capitol Hill, meanwhile, some of Trump's allies are privately revving up their own version of a counterattack against Mueller. Several top Republican legislators plan to raise questions in the coming days about the FBI's handling of a "dossier" detailing alleged ties between Trump and Russian interests. They intend to argue that Mueller's team has become overly reliant on a document that was funded in part by Democrats, according to two people involved in the discussions. Mueller does not appear to have relied on the dossier for the cases revealed on Monday, however. For Trump and his team, the bad news began as disconcerting drips last Friday, when CNN first reported that indictments were probably coming Monday. The only question: of whom? The White House had no inside information beyond what was public in news reports, officials said, and were left to scramble and speculate as to what might happen. Reliable information was hard to come by, as Trump's team was scattered. Cobb was at his home in South Carolina until Monday afternoon, while Trump spent much of Saturday at his private golf club in Virginia and went out to dinner with Melania and their son, Barron, at the Trump International Hotel's steakhouse in Washington. Among the many unknowns, the Trump team arrived at an educated guess that Manafort was likely to be indicted - in part, according to one White House aide, because they heard that television news crews were preparing to stake out Manafort's Virginia home. "This wasn't a shocking development," Sekulow said. When the first pair of indictments came naming Manafort and Gates, there was palpable relief inside the West Wing. The 31-page document did not name Trump, nor did it address any possible collusion between Russia and the president's campaign. Moreover, aides were simply happy that the initial batch of indictments did not include Michael Flynn, Trump's former and controversial national security adviser, who was fired from his top White House perch after misleading Vice President Pence about his contacts with Russian officials. Flynn had been intimately involved in both the campaign and the early days of the administration, and a Flynn indictment, most staff believed, would have been far more damaging. The indictment of Gates - who had played a quiet, behind-the-scenes role in Trump's orbit - was more of a surprise, though he had served as Manafort's campaign deputy and protege. Trump's team quickly settled on a messaging plan: The duo's alleged misdeeds, the White House argued, had nothing to do with the president or his campaign. Privately, aides and allies acknowledged that the campaign had perhaps not sufficiently vetted the two men before bringing them on board. Michael Caputo, a former campaign adviser whom Trump praised on Twitter Monday morning for his appearance on Fox News Channel's "Fox & Friends," later called the indictments "one big, huge fail." "Rick and Paul, I would consider them friends of the president because they worked so closely with him," Caputo said. "The president's watching closely and he should be concerned for his friends' welfare, but he has absolutely no concern about collusion with Russia because there was none." On Sunday, Trump had attempted to seek refuge from the political squall with another round of golf at his Virginia club. Sens. Lindsey Graham, R-S.C., and Ron Johnson, R-Wis., were set to join him, according to two people briefed on the plans - an afternoon of camaraderie and talk about his tax proposal. It was not to be. Rainy weather forced the White House to cancel the outing - yet another disappointment, beyond the president's control.